A research group from Kumamoto University, Japan, has discovered a new neurogenic mechanism responsible for brain development. By applying proprietary technology to detect trace proteins in living organisms, they found that a novel protein called Matrin-3 is responsible for determining the fate of neural stem cells. A deficiency of this protein causes a disordered differentiation of neural stem cells into neurons, which results in the collapse of the brain layer structure. 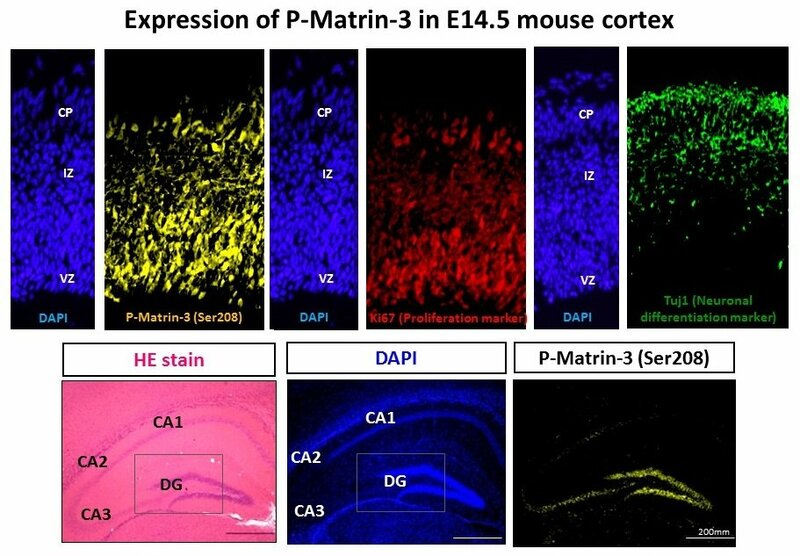 It is clear that Matrin-3 is important for the maintenance of neural stem cells in brain development. Neural stem cells have the ability to differentiate into various types of nerve cells (pluripotency) and can autonomously replicate in an undifferentiated state. During the embryonic stage in mammals, neural stem cells differentiate into the major neural cells, like neurons and astrocytes, which constitute the brain. They are regulated by combinations of multiple signal transduction pathways, genes and transcription factors. However, little is known about the molecular mechanisms that determine their fate. Understanding how neural stem cells maintain an undifferentiated state or how they determine which type of cells to differentiate into is important for neural development research.